obviously this post is about THG so if you HAVEN’T SEEN THE MOVIE AS YET THEN DO NOT READ ANY FURTHER UNLESS YOU WANT SPOILERS. And if you haven’t already seen the mall tour video with Jennifer, Josh and Liam. You simply MUST. If you’re a fan that is. I suppose if you read my blog and you’re wondering WTF is The Hunger Games. Read it. Finally Liam came and he was so chillaxed walking and waving and smiling awww so cute. And that’s when I left. I was so upset I only got one signature. And I didn’t get to see the movie. Yeah so next year I will get there early. And it better be at Leicester square too. But it was a good experience I got to meet lots of THG fans and stuff so that was cool. they were ALL WRITTEN FOR THE MOVIE so obviously they link to the themes or certain characters or scenes. but none are played in the movie. anyhew so I FINALLY WATCHED THE MOVIE OMG I WATCHED THE HUNGER GAMES I’VE BEEN WAITING FOR THAT MOMENT FOR OVER A YEAR AND IT CAME. no. i was NOT disappointed. first things first…Lionsgate released so many clips and Entertainment Tonight had so many Behind The Scenes videos but i only watched one because I wanted to save the rest for the movie itself. i’m so glad i did that because then the movie was more of a surprise. but i still quoted everything i knew from the trailer and clip.s LOL. what i loved was how in each scene i knew what was happening (obv from reading the books) and if there was no dialogue i pictured the book in my head and what Katniss was saying. that shows the movie was awesome. it seriously compliments the book because you get to experience different POV such as viewing the Capitol citizens while watching the Games and the added scenes with President Snow and Seneca Crane as well as the Gamemakers were brilliant. the acting was just incredible. everyone was brilliant and superbly cast. Jennifer Lawrence’s portrayal of Katniss Everdeen blew me away…she ACTUALLY TREMBLED with fear. oh it was just amazing. Liam Hemsworth as Gale…awww i wanted to give him a big hug. to have your friend go in the Games is heartbreaking and when he saw Katniss kiss Peeta he was so confused and just awwww. Stanley Tucci as Ceasar Flickerman- absolutely brilliant. the theme tune and the pictures oh and his laugh. oh it wa sperfect. Wes Bentley as Seneca Crane…omg he was amazing. i was frequently astounded by the awesomeness of the beard but wow he seriously blew me away. Willow Shields as Primrose Everdeen- omg her screams made me cry and wow se is an amazing little actress can’t wait to see her in the other movies but WOW. Amandla Stenberg as Rue…beautiful. simply beautiful. she is so adorable and omg i cried so much and it was so emotional coz i KNEW WHAT WAS GOING TO HAPPEn. some of my friends thought they didn’t show enough of Katniss and Rue but i dunno…i still thought it was amazing. so heartbreaking. i love LOVE rue’s whistle. it’s the whistle at the end of the trailer. 😉 oh and i made all my friends do the salute. Elizabeth Banks as Effie Trinket- wow. i love her as Effie and she just captured the whole essence of effie. she has this line ‘THAT IS MAHOGANY’ oh we all burst out laughing. her outfits were incredibly but just wonderful Effie. Woody Harrelson as Haymitch Abernathy- they gave Haymitch more of a role and i loved it. they showed his drunkenness which was funny but also quite sad but he doe care about his Tributes and he made sure they got sponsors. i loved that. also…his note: ‘you call that a kiss?’ was hilarious. but there was this one bit where he was sitting and he saw these Capitol kids with a sword and the boy was chasing his sister…for them it was just a game but for the Tributes it’s real. and it was just so disgusting because Haymitch was disgusted and so was i.
Lenny Kravitz as Cinna: absolutely brilliant. love him. he was funny and awesome and everything Cinna is. Jacqueline Emerson as Foxface- that si exactly how sly and cunning and intelligent i imagined Foxface to be. and she did it beautifully.there was this scene in the beginning of the Games where Katniss and Foxface see each other both fear in their eyes and then they run. it was beautiful showing how scared they both are and they’re just kids. Alexander Ludwig as Cato- wow…he was brutal but his death at the end was sad. it was very emotional watching him with the Careers.i don’t know why but they made Cato and Glimmer have a thing, oh well. Isabelle Furhman as Clove- omg she was amazing with her knife throwing skills and when she was gonna kill Katniss but then her death. it wasn’t a rock but still. wow. Jack Quaid as Marvel- he was hilarious at the interview being all nerdy and like YEAH HUNGER GAMES. Dayo Okeniyi as Thresh- he was wonderful. the perfect thresh. his smile is so cute as well. but yeah he was amazing. so overall i thought the acting was perfect and the way Gary Ross directed it…absolutley brilliant. am so happy he did a good job. some people say it’s better than the book and i can see why but i don’t think so. i like how well it compliments the book. i hope people watch this and read the books and now we have to wait till 22nd November 2013 till Catching Fire. but i know there were lots of deleted scenes because in the behind the scenes videos AND the movie companion guide the photos and bits weren’t in the movie. so i am SO GETTING THE DVD. rue’s lullaby was amazing. lol Jen can’t whistle. she had to have a stunt whistler HAHAHAHAHAHA. peeta’s leg. HE DOESN’T HAVE A FAKE LEG. did they just forget or what? =( that is actually really important. i can’t wait to see who they cast for Finnick Odair and Johanna Mason as well as the others. me thinks Arnie Hammer for Finnick and Kristen Bell for Johanna. so now i need to get THG score because i really want the lullaby and just it’s so beautiful. if you check out my tumblr or any other THG fansites they have awesome interviews with the cast but i HAVE to show you this one with Josh Hutcherson- he hums the mario theme tune. it’s epic. have a lovely week. Alhamdulilah the weather is improving with the lovely sun shine and blue skies and unseasonable warm weather for March. it’s above 15 degrees. that says a lot. GLOBAL WARMING. anyhew i shall try to update my blog more frequently but now it’s exam time soon so i have to revise. so thank you for putting up with me blogging about THG…it shall continue because there will be more interviews and Catching Fire news. oh i almost forgot. one of my geography teachers read THG and when she said ‘has anyone read The Hunger Games’ i said OMG and the rest of the lesson was spent explaining the concept and why it’s relevant etc …it was awesome. so. i hope that i have persuaded some of you to READ THE BOOKS. or watch the movie. or BOTH. Rue: So is all of it true? 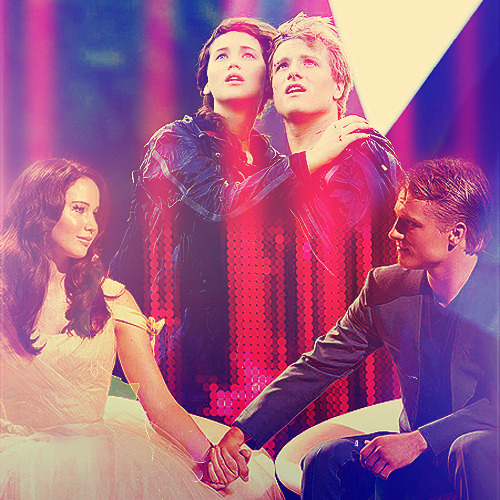 Peeta: I’ll take the bow. HAHAHAHAHAHAHAHHA and many many more. 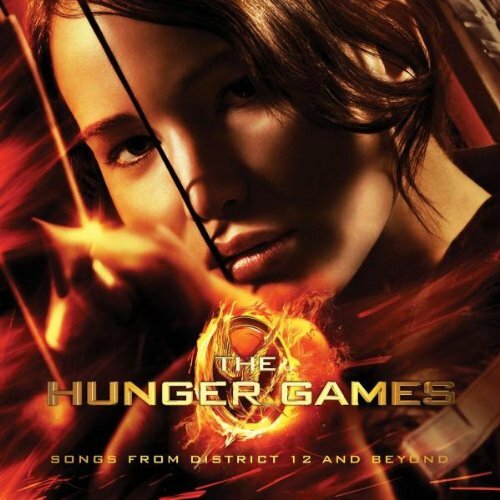 I love The Hunger Games Trilogy by Suzanne Collins and I love The Hunger Games Movie directed by Gary Ross. Not Kristen Bell! No twilight people ugh! Kristen Bell wasn’t in Twilight. that’s Kristen Stewart. and i think Jena Malone has been cast as Johanna Mason but Lionsgate hasn’t confirmed or denied this.